When it comes to painting rooms, gray is red-hot. Benjamin Moore carries over 150 shades of gray, and Sherwin-Williams says that of their top 50 colors for interiors, 30 are grays. 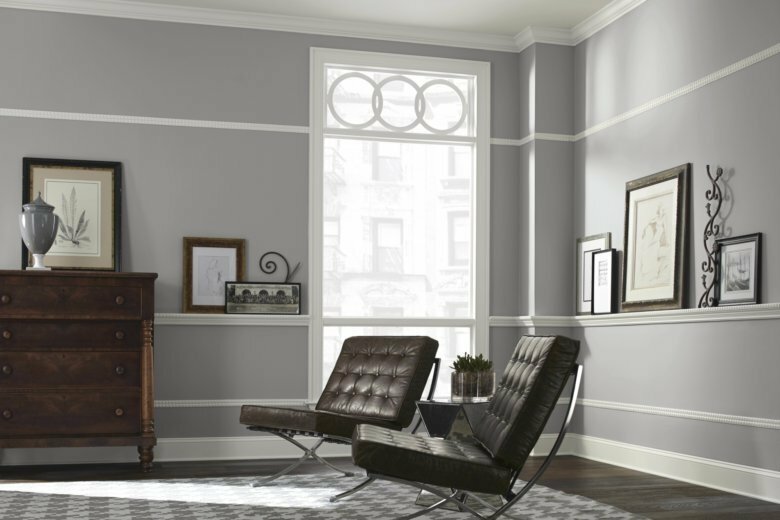 “The trend toward gray started in Scandinavia, became big in the U.S. around six years ago, and is still on the rise,” says Sue Wadden, director of color marketing at Sherwin-Williams. But picking the correct shade of gray can be tricky. Grays have undertones of blue, purple or green, and you’ll want to make sure the undertones are compatible with surrounding tile, furnishings and fabrics, designers say. For a real “smack-in-the-middle gray,” Wadden suggests her company’s Repose Gray. “For walls surrounding pink tile in a bathroom, I’d go with Repose Gray, which goes great with pink and creates a neutral background,” she says. Amazing Gray has a greener undertone, while Passive is cooler with more blue. “We typically try to steer clients away from purple undertones. Usually, we stick to true warms and true cools, and the middle ground, often referred to as French grays. They are pretty true grays,” says Cate Dunning, who, with Lathem Gordon, runs the Atlanta-based GordonDunning Interior Design. In addition to undertones, there’s a big difference between cool and warm grays, with the former better suited to modern interiors and the latter often better for traditional homes with warmer-colored furnishings, according to Dunning. Too cool of a gray in extreme sunlight, like that in Florida, can sometimes look chalky, Wadden warns. “My best advice is to select your three favorite grays, paint a poster board with each one, and look at them in your home over a weekend, tallying up which one you like best at various times of the day and night. If you plunge in before doing that, you may regret it,” says Dunning. “You might love a picture you saw in a magazine, but it’s important to remember that the very same shade of gray might look entirely different in your own home,” says Gordon. While undertones are hard to spot in a paint chip, they become more obvious on a larger surface like a poster board placed prominently in the room you are planning to paint, Magno adds. Some of Benjamin Moore’s more popular grays are Gray Owl, Balboa Mist, Coventry Gray, Stonington Gray, Revere Pewter and Thunder, she says. What about trims? Although grays are generally used with lighter grays, whites and off-whites, the latest trend is toward trim in the same or even a darker shade of gray. Laurie Pressman, vice president of the Pantone Color Institute, also sees gray with gray trim as a trend.